According to a new report exclusive by the Daily Camera- Both John and Patsy Ramsey were indicted by a grand jury in 1999 for child abuse leading to her death- but prosecutor Alex Hunter refused to sign the indictment because he did not feel there was sufficient evidence to secure a prosecution against either parent. The report lays to the rest years of lingering rumors that although the grand jury which was suspended more than once while hearing the Ramsey case was never polled. 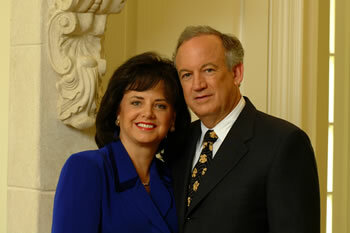 In July 2008 then Boulder District Attorney Mary Lacy, publicly exonerated the Ramsey’s in an open letter after Touch DNA testing proved the suspect in Jon Benet’s assault and murder was an unrelated male whose profile matched DNA in a blood stain within the child’s underwear. In 2001 John and Patsy Ramsey also passed a polygraph examination given by Dr. Ed Gelb and corroborated via quality control analysis Cleve Baxter. Patsy Ramsey died in 2006 after over a decade of battling ovarian cancer. In his book, The Other Side of Suffering, John Ramsey believes his daughter’s murderer was someone the family came into contact with either at a Holiday gathering or at a pageant appearance shortly before her murder on Christmas Day.